Mid-18th c, walnut, original iron fittings, Shanxi. 30″w, 16.5″ d, 80.5″ h.
This pair of cabinets show the four-sides-square design. Each one has open-sided space at the top and open shelf at the bottom. In between the open display areas is a storage compartment behind a pair of pivot-hinged doors. A shelf divides the space inside. Each door panel is divided into two sets of big rectangular panels with beaded edges and cusped corners on recessed ground, arranged between three narrow “taohuan” panels with raised beaded borders and indented, lobed corners. 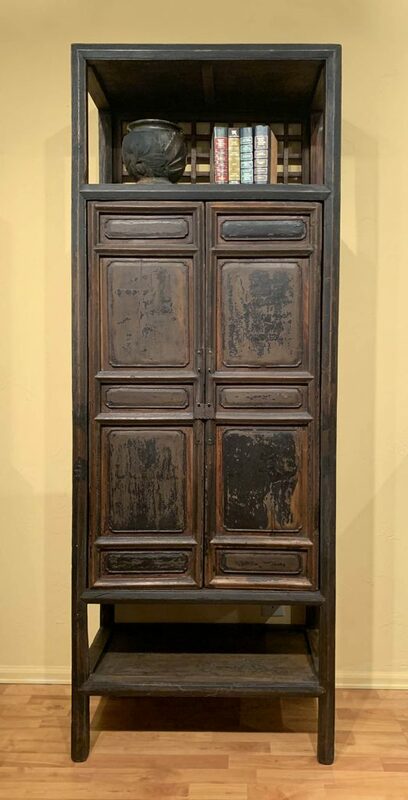 (Taohuan panel is the Chinese term used for narrow, usually horizontally oriented decorative panels, the presence of which is generally associated with early traditional style found in China). The top and bottom open storage spaces and the pair of door panels are separated by “sword ridge” molded stretchers. 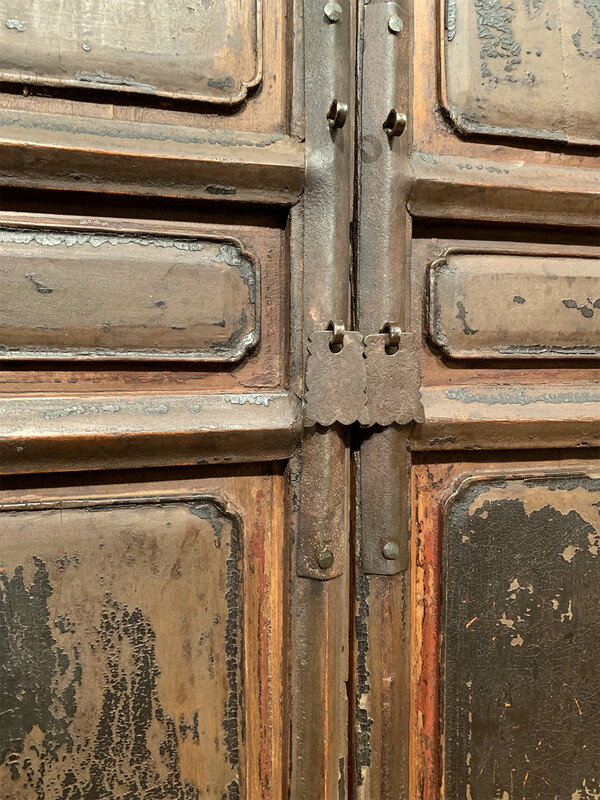 The doors have original metal lock-plates and door pulls. The long and narrow lock-plate is fastened to the frame member with hand-hammered iron nails. 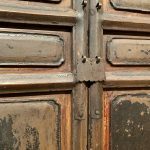 The presence of the original ironwork is valuable to the piece as much of the Chinese furniture found after the turbulent Cultural Revolution have lost the hardware due to the government’s need to confiscate them to be melted down for military and industrial use during the revolution.